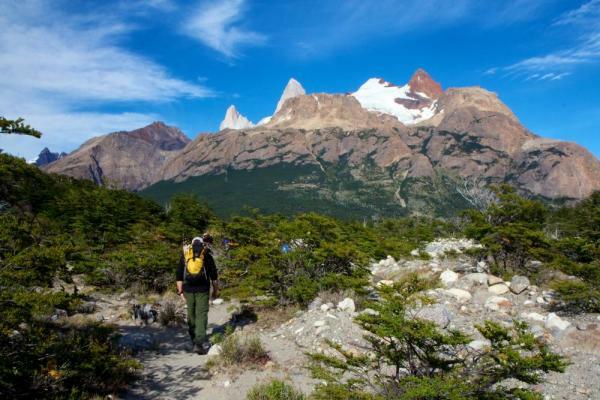 Spend nine days trekking through the Patagonian landscape on this Patagonia Hiking Express tour. 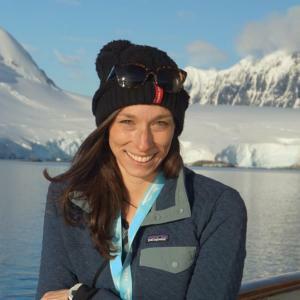 Explore Perito Moreno Glacier, Fitz Roy Range, Laguna Torre, El Calafate, Torres del Paine, and more. 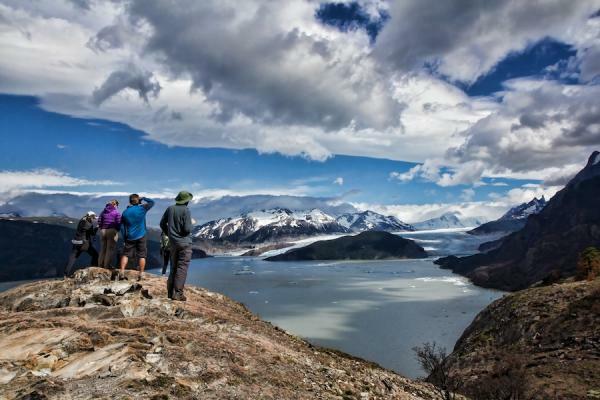 Hike through glaciers, past massifs, to lagoons, and through glaciated mountain ranges. 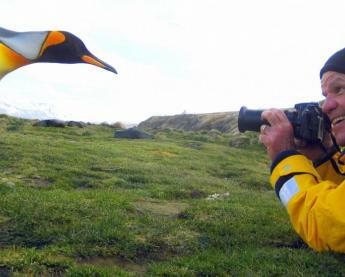 Enjoy free time to relax and catch up on rest or choose to explore El Calafate and Torres del Paine. This tour may be short on time but it is big on adventure! Arrive to El Calafate on the flight of your choice today where a transfer takes you to your centrally-located hotel. 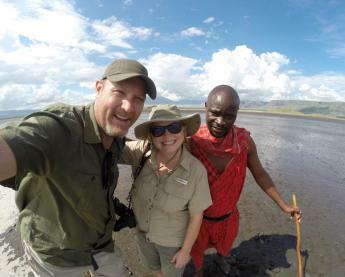 Meet a guide for an orientation and get ready for a great adventure! Today you drive into Parque Nacional Los Glaciares for views of the stunning Perito Moreno Glacier. This huge advancing glacier is more than 3 miles wide at its front and over 20 stories high - a highlight of your Patagonia travels! 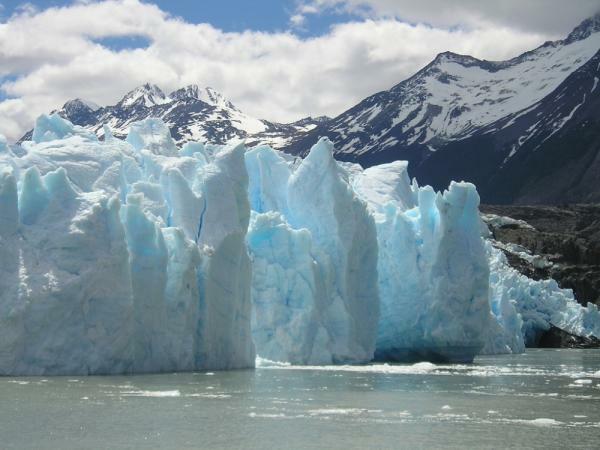 Take a boat across Lago Argentino and pass the massive front wall of blue ice, all the while watching for icebergs. After landing on a small beach start hiking through the beech forest to the icepack of the glacier and have the opportunity to walk on the glacier with crampons. 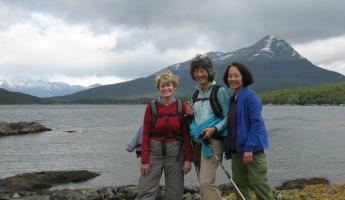 (This Glacier trek has a minimum age of 10 and a maximum age of 65. 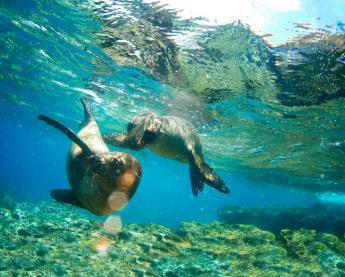 Alternate excursions are available for those under 10 or over 65 years of age.) Eat your lunch sitting on the lateral moraine of the glacier, where you can absorb the magnificence of the glacier's anatomy and listen to its thunderous concerto of groaning and cracking ice dropping into the lake below. Contact us if you are interested in the Big Ice Adventure, a more active excursion that spends more time on the ice. Click here for more details. From here transfer back to El Calafate for your four hour transfer to El Chalten this evening. Get ready for a full day hike in the Fitz Roy Range with your second guide, someone locally licensed for hikes in this region. Hike to the viewpoint for one of the most impressive views of the Fitz Roy Massif. Options are the Piedras Blancas Viewpoint, which is 7-10 km each way for an easier hike. 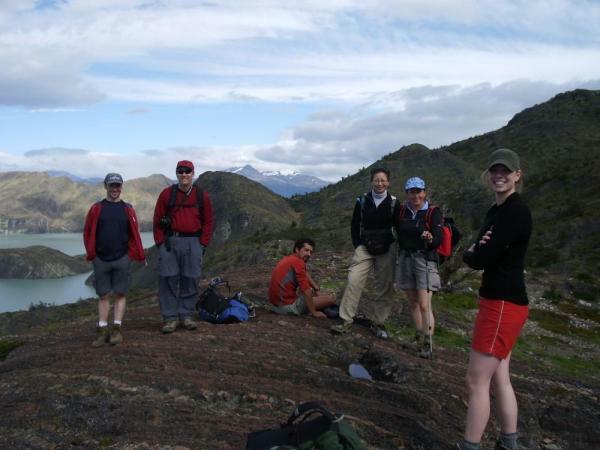 Most groups opt for the more challenging hike to Laguna de los Tres, 12km each way. 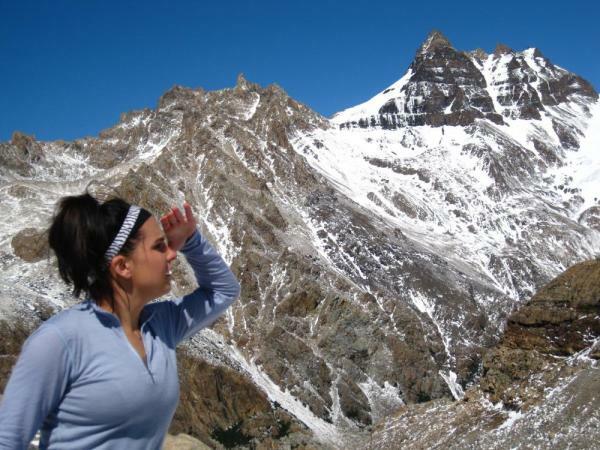 Climb for about 1 hour to your first lookout of Cerro Fitz Roy. Next hike an additional 2 hours to the Rio Blanco campsite. From here continue for another hour up to Laguna de los Tres, where you are rewarded with spectacular views of Cerro Fitz Roy, Laguna Sucia, and Viedma Glacier. Enjoy lunch before heading back to El Chalten. Enjoy another full day of hiking up to Laguna Torre today. Ascend from the De las Vueltas River Valley through dense southern beech forests, and enjoy views of the jagged Mount Torre-Adela range in the distance. Continue climbing gradually until you reach Laguna Torre, where you are rewarded by a stunning vista: majestic Mount Torre, flanked by the Adela mountains, high peaks, and glaciers spilling blue-white towards the lagoon. 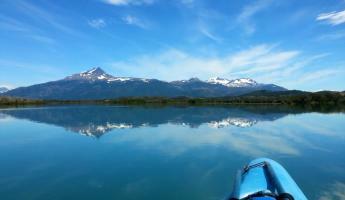 Eat lunch by the shores of the lagoon before hiking back to El Chalten for the evening. Today transfer back to your hotel in El Calafate. The rest of the day is free for you to take an optional tour in the area, or to wander the shops in El Calafate. A local museum, El Glaciarium, offers great exhibits and insight into the environmental impacts involved with the formation and depletion of glaciers. Load up in your vehicle for the 6-hour scenic drive towards the Chilean border and into Torres del Paine National Park. Cross over the border in 4 x4 vehicle and drive the rest of the way on the bumpy road into the park, exploring its stunning scenery. En route stop for short hikes to get the best views of park highlights. Arrive to the Laguna Amarga where you switch vehicles and shuttle to your hotel. Settle in to your comfortable lodge, Hotel del Paine. 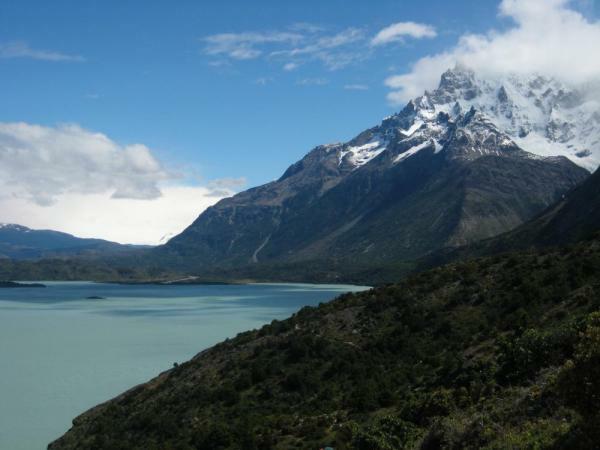 Tackle the famous Torres del Paine today if the weather is favorable. These three granite towers are the most famous attraction of the park, reaching 9,400 ft high and carved out by glacial forces years ago. The moderate to challenging hike takes about 7-9 hours round-trip, depending on the group pace, and offers a good challenge for well-trodden hikers. This morning is free for you to take in an optional excursion. You can sail the lake to get a view of Grey Glacier, arrange to go horseback riding, or go hiking to another nearby location. Check with hotel staff about pricing and booking tours locally. In the afternoon transfer to Laguna Amarga, cross the border back into Argentina, and then take the bus back to El Calafate where you overnight. Continue on to your next destination, or return to Buenos Aires to connect with your international flight home. Only 20 km from El Calafate, on the way to the Glaciar Perito Moreno, in an old and traditional Patagonia homestead, lies ï¿½El Galponï¿½ (The shearing shed). The lodge has 16 comfortable rooms with a view to the lake or to the magnificent Andes Mountain Range and is the perfect hotel choice on your Patagonia tour. Esplendor El Calafate is situated in the heart of Argentine Patagonia. The distinct identity of this boutique hotel rests on a contemporary focus on Patagonian elements and its design complimenting the surrounding nature. Its warmth and quality make this space a unique and distinguished option around the glaciers. 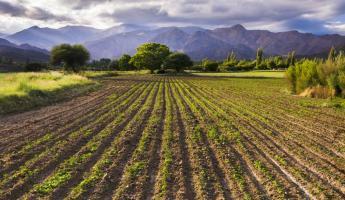 Located only 30 minutes from El Calafate, Eolo is a country lodge on 3,000 hectares of land. 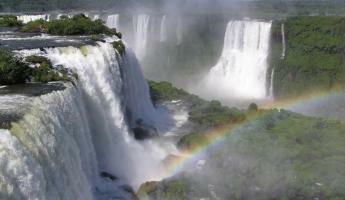 It offers views of Lago Argentina, La Anita Valley and Torres del Paine. There are 12 superior suites, 3 premium suites and 2 corner suites. 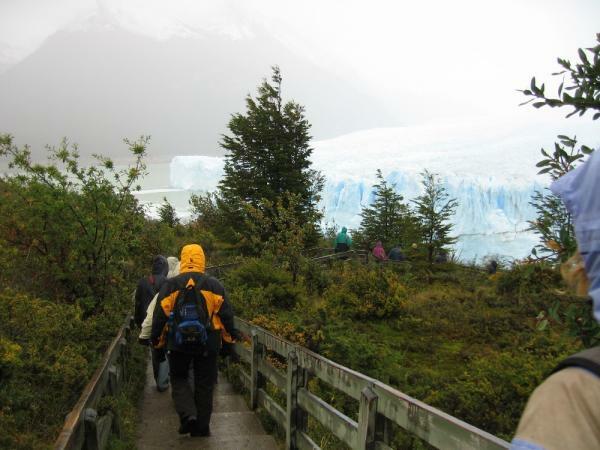 El Calafate is your base for exploring Perito Moreno Glacier and the rest of Argentina's Parque Nacional Los Glaciares. The Hosteria Senderos is tucked at the base of Mount Fitz Roy in Los Glaciares National Park. It has a 1920's farm style and has 21 rooms designed to offer warmth, privacy and tranquility. Hosteria El Paraiso is a cosy Alpine-style mountain inn located in the picturesque village of El Chalten at the foot of Mount Fitz Roy. From the hotel discover beautiful framed this majestic mountain range so colorful and so Patagonia. Located in El Chaltén, Los Cerros Boutique Hotel & Spa by Don offers spectacular views of the surrounding valleys, lakes and Fitz Roy Mountain. Stay at the Hotel del Paine to view the 8th wonder of the world: Torres del Paine! Located just south of the national park, Hotel del Paine is the perfect place to start your vacation! Please note: Rate based on booking the first departure to Perito Moreno Glacier. 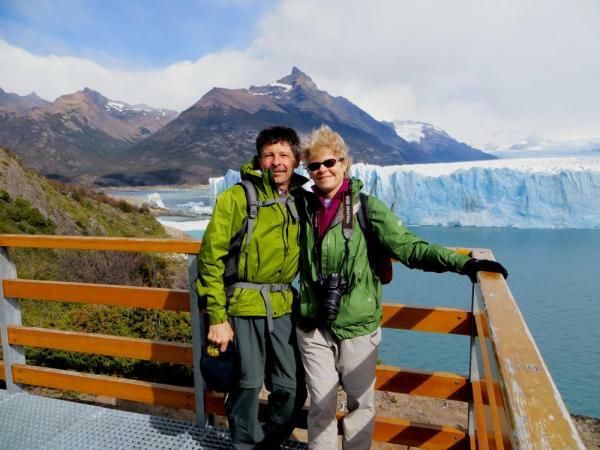 If we are unable to confirm this first departure and the time of booking, please add $250/person for private transfer to and from Los Glaciares National Park.